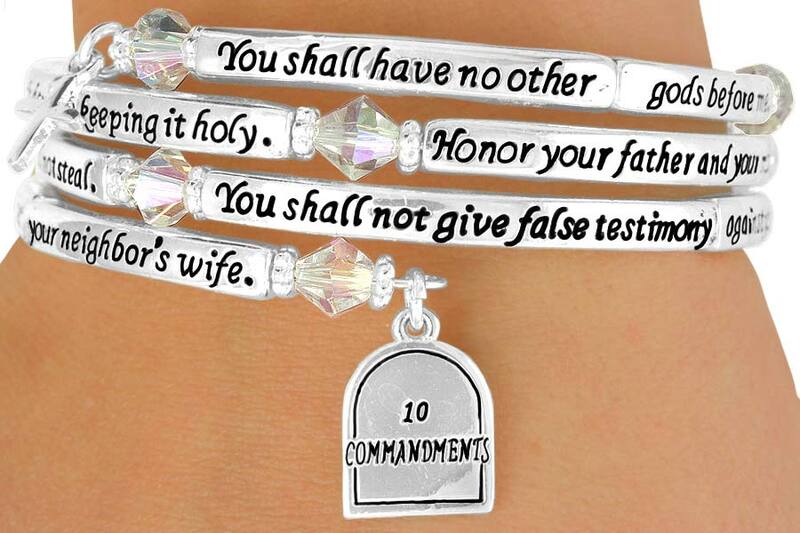 Lead & Nickel Free Silver Tone Coil Bracelet Displays The Ten Commandments, Which Say: "You Shall Have No Other Gods Before Me. You Shall Not Misuse The Name Of The Lord Your God. Remember The Sabbath Day By Keeping It Holy. Honor Your Father And Your Mother. You Shall Not Murder. 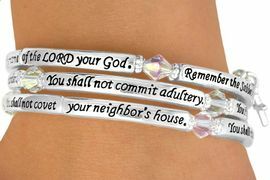 You Shall Not Commit Adultery. You Shall Not Steal. You Shall Not Give False Testimony Against Your Neighbor. 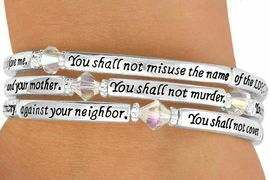 You Shall Not Covet Your Neighbor's House. 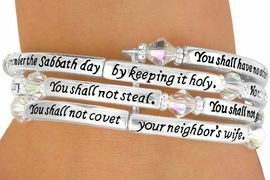 You Shall Not Covet Your Neighbor's Wife." 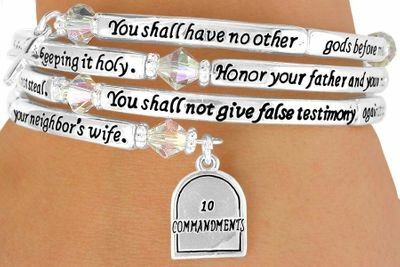 A Silver Finish "Ten Commandments" Tablet Charm Hangs From One End.